The Bragi Dash and Dash Pro are already compatible with Siri and Google Now, but from now they'll also work with Alexa, Amazon's smart assistant. Bragi announced the integration would happen with both generations of its hearable back in September letting users access Alexa's library of Skills with a tap of the earbud or - if you've enabled the MyTap feature - the cheek. Accessing Siri and Google Assistant, we found, has been a bit finicky on the Dash Pro, so we hope interacting with Alexa is a smoother experience. 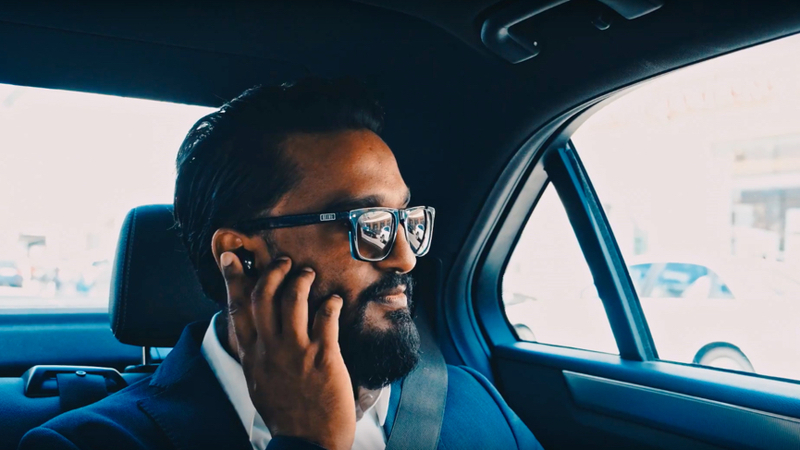 As Bragi demonstrates, opening up Alexa's Skills means you can hail an Uber or even call ahead on your Starbucks order. You'll also be able to stream from Amazon's throng of audio services - Music, Audible and TuneIn Radio. Just let these trendy, attractive people show you how easy it is. Wow, the future is great, huh? To access Alexa on the Bragi Dash and Pro, you'll need to download the Bragi OS 3.1 update, as well as updating the Bragi app and connecting to your Amazon account. The Bragi Dash Pro, which introduces a host of new features including translation is in the running for Hearable of the Year at this year's Wareable Tech Awards. The addition of Alexa is sure to strengthen its case to walk away with the prize in a few week's time.